Along with a new flagship phone, Sony has raised the curtain on a new high-end tablet at Mobile World Congress. 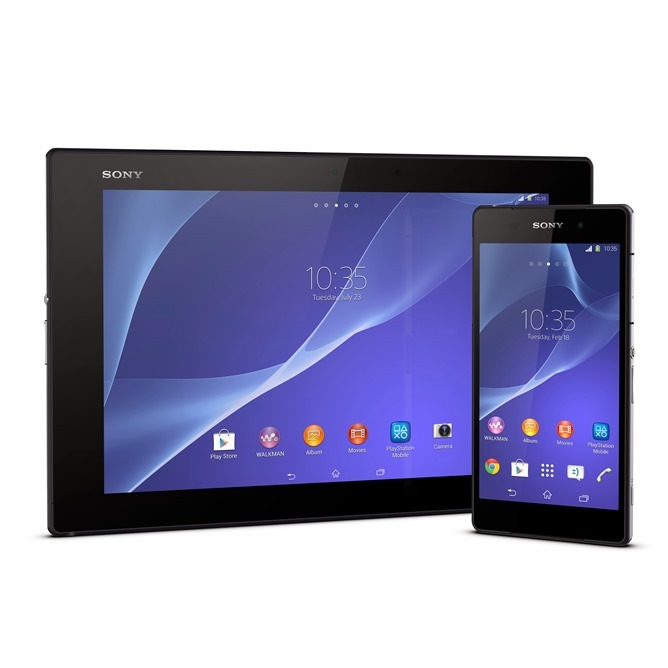 Like previous Sony designs, the Xperia Z2 Tablet takes its name, looks, and general hardware from the Z2 smartphone. The most impressive part is the Snapdragon 801 processor, which should be able to take all comers with its 2.26Ghz quad-core architecture. The rest of the tablet is lagging a little bit when compared to newer offerings from Samsung. The screen is a 10.1-inch panel with a 1080p resolution - not bad, but for a flagship tablet Sony really could have pushed the pixels higher. With 3GB of RAM the Z2 Tablet should be able to handle a boatload of simultaneous apps and processes. The rear camera is 8.1MP - very nice for a tablet - with a 2.2MP shooter on the front. But what Sony fans really love is the external design, and the Z2 Tablet does not disappoint. Despite using a large 6000mAh battery, the tablet is an impressive 6.4mm thin and just 425 grams for the WiFi version - Sony calls it "the world's slimmest and lightest waterproof tablet." 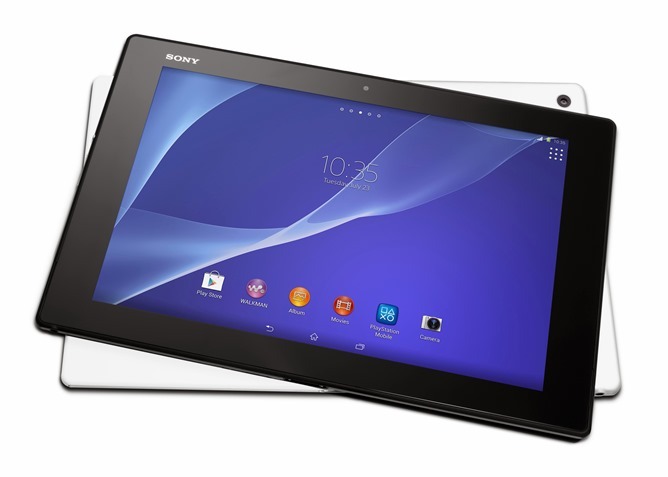 (Like all of Sony's recent designs, the Z2 Tablet has basic water and dust ingress protection.) That skinny build might have something to do with the bezels, which are considerably larger than some of the other 10.1-inch tablets that have been announced recently. Sony's press release didn't say anything about software, but like the Xperia Z2, it seems that Android 4.4 is a pretty safe bet. As usual Sony has filled it with manufacturer customizations at just about every level. The Xperia Z2 Tablet will be available in black and white starting in March, and an LTE version is also in the works. It may take Sony considerably more time to bring it to the American market. Various accessories, including a media dock and a keyboard case, will be marketed alongside the tablet. Update: XperiaBlog has a list of European prices, with the base 16GB model coming in at £399.00/€499.00 (in most locations), the 32GB going for fifty pounds or Euros more, and the 16GB LTE version coming in at £499.00/€649.00. Considering the general exchange rate for hardware, I'd expect the corresponding US models (should they all make it over here) to start at around the $450 mark and go up to $600.